The Face Place Scene Machine 2 embraces green screen technology to deliver an interactive photo booth experience like never before. Users are “dropped into a scene” of their choice, ranging from scary scenes with vampires and dinosaurs to underwater scenes where they can swim with all types of fish! Customers can also visit popular tourist areas like the Statue of Liberty, the Las Vegas Strip, and the White House. 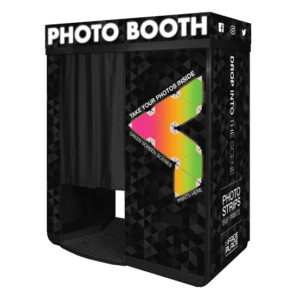 Of course, like our other Face Place booths, the Scene Machine also takes advantage of our cutting edge Smile 2.0 software that allows customers to share their photos on Facebook, Twitter, or by e-mail directly from the booth.